Over 170 new Mopar parts for the truck are now available. Making its debut at the Chicago Auto Show, an event that has become known for truck reveals, is this Mopar-customized . 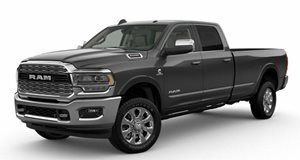 Based on the , the truck is powered by the familiar 6.4-liter Hemi V8 with 410 hp and 429 lb-ft of torque and painted in Blue Streak paint and features plenty of new Mopar accessories that are now on sale. All told, there now more 170 Mopar parts and various other accessories available for the new pickup truck. Among them are a black, powder-coated Ram Bar located in the bed and topped with five 5-inch LED off-road lights, off-road wheel flares, and a spare tire carrier that can hold a 37-inch tire. There’s also a retractable rear Mopar bed step for easier access when the tailgate is up or down. Those wheels are 17-inch custom-milled concept beadlock wheels wearing Goodyear rubber. However, those wheels are not currently part of the Mopar catalogue as they are ‘concepts’, after all. The interior is decked out with more Mopar touches, such as brushed stainless steel door Ram logo sill guards and all-weather floor mats. A few other notable exterior add-ons, which are currently available for purchase, include a trailer camera, fifth-wheel hitch, bed extender, bed liner, cargo ramp, gooseneck ball kit, and toolboxes.